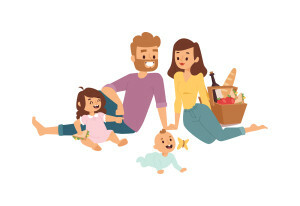 With summer in full swing, going outside and enjoying Mother Nature with friends or family is at the top of everyone’s to-do list. 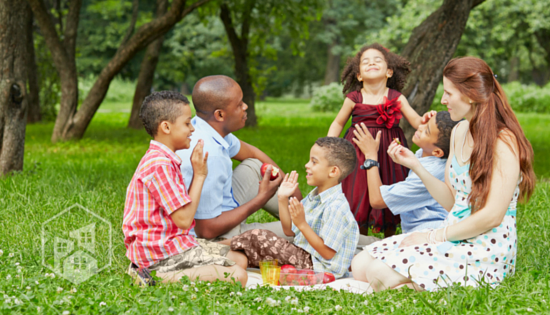 Planning a fun picnic is a favorite past-time when the weather is nice, but this popular activity can potentially have a big impact on the environment if you’re not careful. Instead of drinking out of disposable cups, using plastic ware or accidentally leaving behind trash (no one wants to be a litter bug), think about ways you can be more eco-friendly the next time you eat outdoors. If you want to be green, check out the following list of Earth-friendly products for your next picnic. If you’re a fan of all things renewable, then you might enjoy Eco-Products’ plates and bowls made from 100 percent renewable and reclaimed resources. The Wheat Straw Plates & Bowls are made from wheat straw (hence the name) and meet ASTM certification standards for compostability. To top it off, Eco-Products strive to make as small as possible environmental impact, increasing sustainability. Plastic ware is out and bamboo utensils are in. 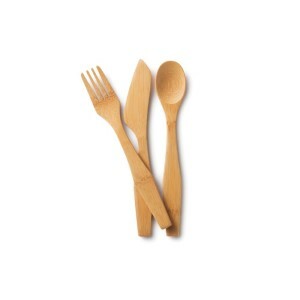 Bambu’s USDA organic and hand-carved Knife, Fork & Spoon Set is the perfect replacement to the traditional, disposable utensils found at most picnics. The set is light in weight, but strong in function. It’s created without glue or lacquer, and is completely natural. What makes this adept for the outdoors is the set’s natural antimicrobial material, helping to keep pathogens at bay. Using plastic or paper bags to pack your snacks is not the best thing for the environment. 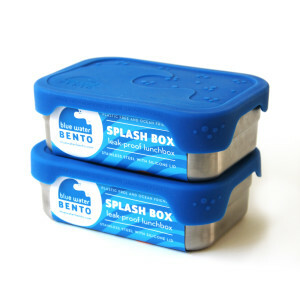 Instead, try ECOlunchbox’s Splash Box and Pods Set. Just like your old plastic containers (the ones that may or may not be BPA-free), this set is useful for packing the perfect entrée – including the sides. The Splash set is leak-proof and plastic-free, so you don’t have to worry about any VOCs seeping into your food or the food seeping into your picnic basket. The set is stainless steel, with non-toxic, non-slip silicon lids that make them safe for dishwashers. What is one thing that we can’t live without? Water. What’s one beverage that kids sometimes claim to dislike? Also, water. Beatrix’s water bottles are great for kids, and have cool designs such as dinosaurs, owls, ladybugs and sharks. 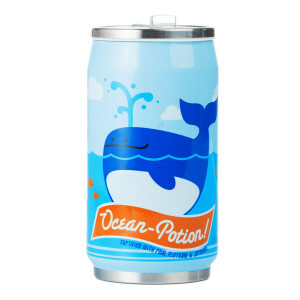 Designed in the shape of a soda can, these water bottles make drinking water fun. The bottles feature vacuum insulation and a removable cap with a sealable straw opening. They’re also free of lead, BPA and phthalate, so they’re safe for all types of beverages – but we recommend sticking with water to stay hydrated while outdoors in the sun. Dishwasher-safe, toxin-free and certified food safe, Lunchskins’ 2-Pack Bag Set is an economical alternative to disposable plastic bags. In fact, this set should be able to replace 500 plastic bags in its lifetime. 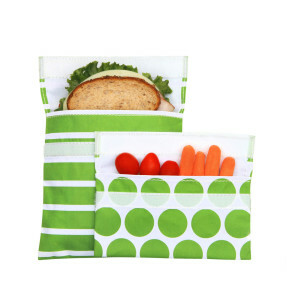 With one sandwich bag and another snack bag, this set works for packing a quick lunch for an afternoon in the park. It features five design themes: ladybugs and picnics; dogs and paw prints; monkeys with stripes; dots and stripes; and a strawberry farm. From school meals to picnics in the park, the Dabbawalla Lunch Bags are a fun way to add an eco-friendly touch to any lunch. 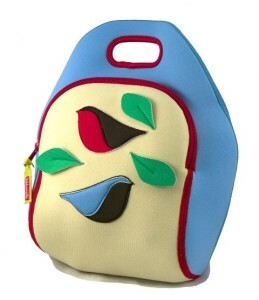 Each bag is made from TPE, a flexible, non-toxic and degradable material that is durable and machine-washable. The bags come in several designs that feature items such as soccer, flowers, penguins, race cars and the U.S. flag. The bags have two interior pockets to fit small items like gum or napkins, and have enough room for all the yummy foods you’ll want to bring on your picnic. Have a craving for red pepper hummus, your mom’s favorite lemon bars or a tasty cup of yogurt? 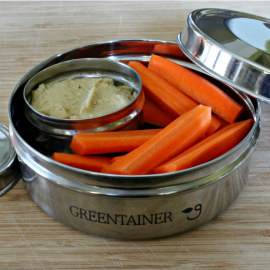 If so, get ahold of that craved snack and put it in Mighty Nest’s Stainless Steel Snack Set. This set is BPA-free, lead-free, PVC-free and phthalate-free; in short, this is a set that will work for anyone concerned about toxins and wants to reduce their carbon footprint. 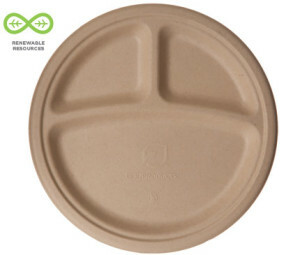 co-friendly alternative to disposable plates and utensils. 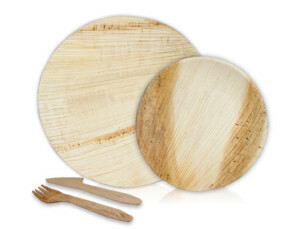 The set is made from pressed Adaka palm leaves, making it fully compostable. The set’s rustic, stylish touch is idyllic for any picnic, especially for those who care about the environment as equally as they care about style. The palm leaf plates are leak proof and can withstand hot and cold temperatures, and the knife has a serrated blade for cutting meat. While the set is designed for composting after a single use, some people have been able to reuse them after cleaning with extra care. What picnic is complete without the comfort of a blanket or quilt? Are Natural’s Good Fortune Elephant Quilt is 4½ by 7 feet in , with enough room for all your goodies and yourself. Handmade from 100 percent cotton in India, each quilt is unique, holding special meaning within the Indian spiritual community, and is supposed to bring good luck. 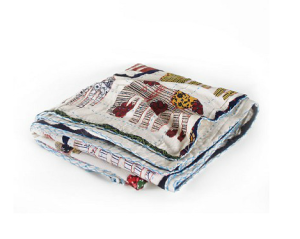 Skip the synthetic fibers and plastic tarps for your picnic, and invest in a quality, handmade quilt. 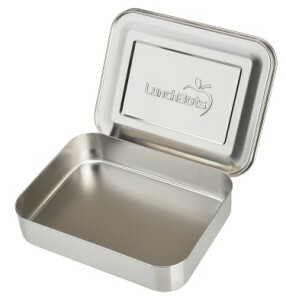 A single stainless steel food container, the LunchBots Uno All Stainless Container is a practical investment for the picnic enthusiast who wants to pack dry foods. This container isn’t water tight, but it does allow your food to breathe – which is fitting for making sure nothing gets too soggy. Since this is 100 percent stainless steel and free of any linings, it’s perfectly fine to wash in the dishwasher and is easy to clean. Pack a salad or sandwich inside this little box and keep your food in order.